You'll be £14.99 closer to your next £10.00 credit when you purchase Luftwaffe Bombers in the Battle of Britain. What's this? 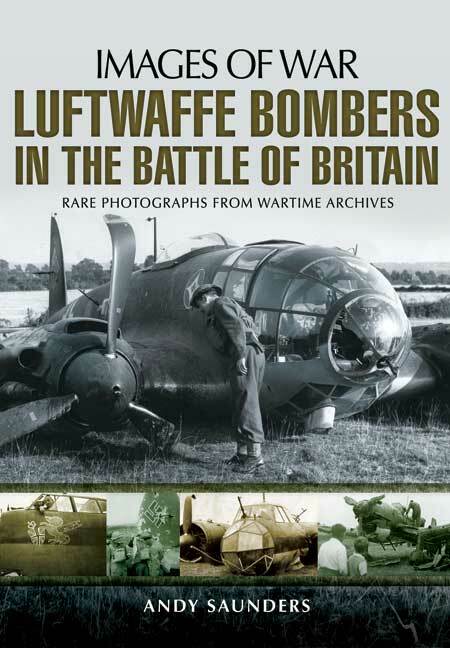 Luftwaffe Bombers in the Battle of Britain will contains some 140-150 images of German bomber aircraft during the summer of 1940. The images will cover the entirety of the battle and will depict losses across Britain during this period. Each picture will tell its own story, and will be fully captioned with historical detail. Each section will have a short introduction and the images will include those of shot down aircraft, including relatively intact machines, badly damaged/destroyed wreckages, photographs of pilots and other related illustrations. All images are from the author's unique collection of wartime photographs of Luftwaffe losses, collected from a variety of sources across some thirty-five years of research.